Traffic was detoured Thursday when a water main break in Escanaba poured a million gallons of water on North Lincoln Road and city streets. 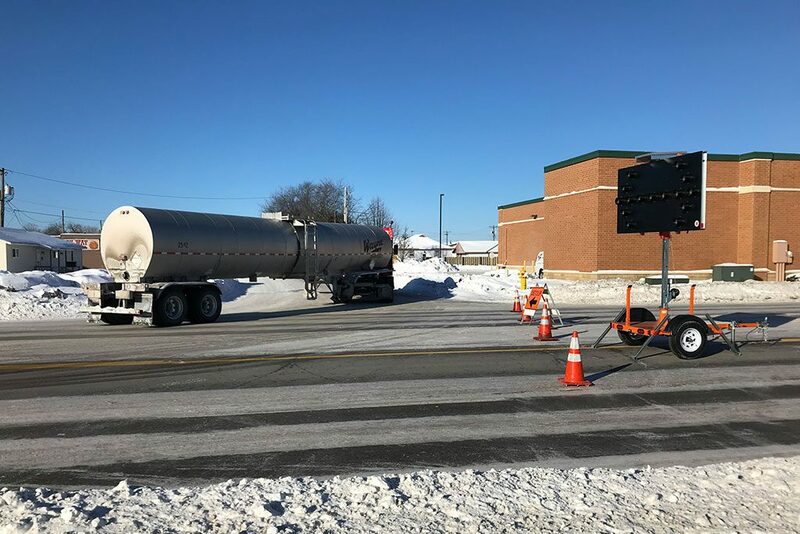 With the amount of ice that was on North Lincoln Road Thursday from the water main break in Escanaba, Public Safety Director Rob LaMarche said they did not expect the road to be open for a couple of days. He was surprised how quickly city crews were able to clean up the highway. “We didn’t think it would probably be open. I think the first estimate that came in would be maybe on Saturday they would have the road open but our public works and Jeff’s guys did such a phenomenal job of shutting the water off and scraping it off in an amount of time, we probably had the road by 3 o’clock. I didn’t think it would be open in a day or so,” LaMarche said at a press conference Friday. LaMarche said they did have issues of people trying to go around barricades during the closure. He said several people were cited for the violation. North Lincoln Road was closed from 1st Avenue South to 3rd Avenue North and Ludington Street from Lincoln Road to 26th Street. “When you have to shutdown North Lincoln Road for anything, even if you have a small accident, it’s a huge impact. With the detour that was set up, it actually worked very well. It’s hard to navigate semi’s through the city but it got done,” he said. He asks that drivers obey traffic closures when they are in place. Share the post "Escanaba closure expected to be longer during water main break"
Categories: Community, Delta County, and Featured.